Snappi Canvas Snap Cleaner & Lubricant Tool. Finally, a device developed to clean salt, corrosion and dirt from metal snaps on your boat, RV and other outdoor equipment. No more stuck or broken snaps and ripping canvas! End the frustration of stuck canvas snaps which often result in ripped covers and undo wear and tear. Just press and turn Snappi Tool on snap head to clean and lubricate. The Snappi tool also has a abrasive pad to clean the inside of the female part of the snap for complete maintainence. • Snap cleaning tool for both male and female portion of Snaps. 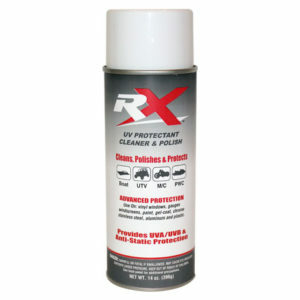 • Abrasive teeth cleans corrosion, salt and dirt. • Cleans and lubricates snap in one easy motion. • Use on Alunimum, stainless steel or alloy snaps. • Helps prevent broken heads, torn canvas and frustration with canvas. • Includes Snappi tool, bottle of Lubricant, wrist Lanyard and stand. • Extends life and durability of snaps. • Excellent for Rivet snaps that can’t be replaced.